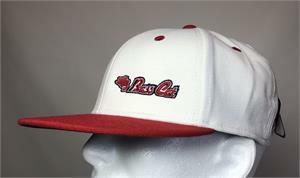 This ProFlex fitted cap is for todays youth and features Pro Mid Corwn, Structured front, and a Flat Bill. 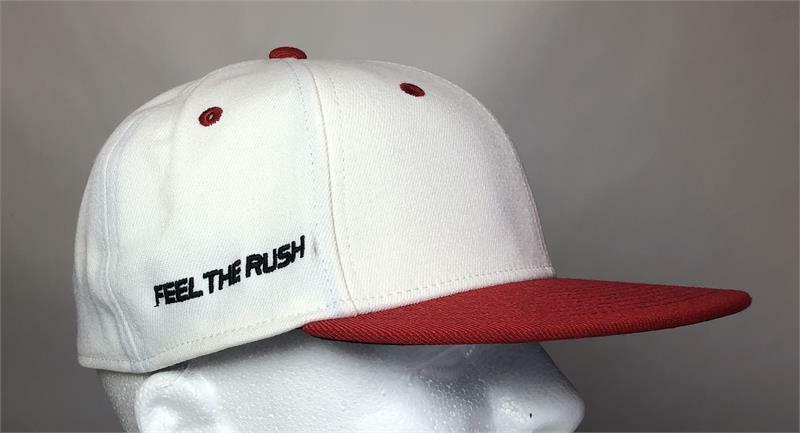 White polyester with red bill and accents. The Bass Cat logo is embroidered offset on the front and FEEL THE RUSH is on the right side.